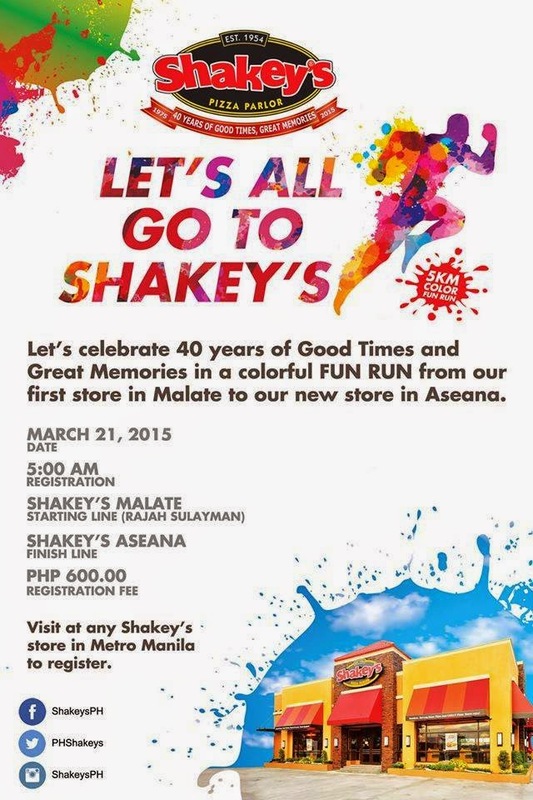 To celebrate their 40th year of Good Times and Great Memories here in the Philippines, Shakey's is holding a colorful Fun Run this Saturday! The 5K run will start from Shakey's Malate, their first branch here, and will end in Shakey's ASEANA which, incidentally, is the newest. The first and only time I joined a run was the Earth Run way back in 2011. Now, to say that I am out of shape is a terrible understatement. As you know, I am not a sporty person. It's been months since I last practiced yoga, more than a year since I boxed, and the only physical activities I have are flipping my book or Kindle to the next page and painting/ organizing my brushes and paints. I desperately need to train if I want to join the Fun Run, or else I'll end up with jelly legs at the beach (my girl friends and I are going to La Union!) after! I actually wanted to jump-start this training early and was supposed to jog last week but Fate had other plans; it literally rained on my parade. Today, with my red hair, pink striped top, mint sports bra, and pink and aqua trainers I looked like a running cupcake but HA! I did it! Not so bad for an out of shape first-timer, yes? 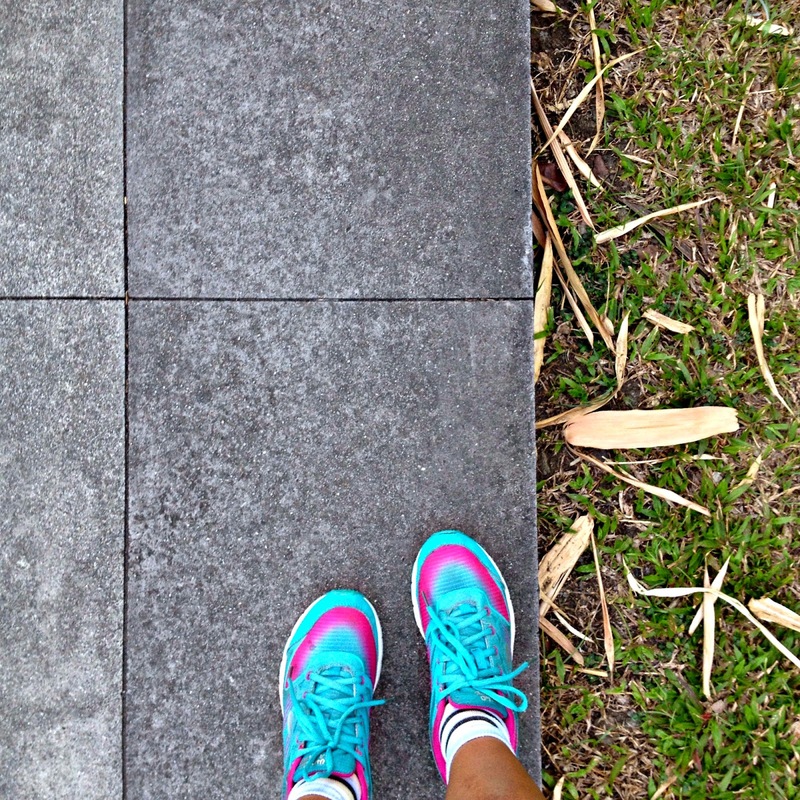 I'm planning to run again tomorrow! And now, my friends, we begin this week's Currently. I just started Fall Like Rain by Ana Tejano in preparation for #SparkNA. A blurb for my buqo YA story Once Upon a Sticky Note. I've been buried in a pile of work that I didn't realize the deadline is this weekend already! I'm not sure if stories in the ebook bundle will be given our own Acknowledgements section, but I guess I'll prepare one just in case. Fool Me Too by Emile Haynie featuring Nate Ruess over and over and over. A natural flush that only exercise can bring. Of how I can conserve energy for all the work-things I need to attend to this month. Sore all over. A physical activity after being lazy for soooo long does that, heh. My Shiseido loot from the Shiseido International Beauty Fair 2015! I will share more details about that on a future post, and I might even give away a Shiseido Veiled Rouge Lipstick! New bikinis for my coming beach trip, but I don't have the budget anymore because I just bought new clothes ahuhuhu. To come up with a plan for my birthday, stat! This week goes by quickly and without any other hitches.